Over the past year China has attempted to move itself closer to the center of debates about the future of Internet governance. In February, President Xi Jinping called for China to become a “cyber power.” The global scope of these ambitions was displayed in November at a lavish summit, billed as the first World Internet Conference, in Wuzhen near Shanghai. The conference was a major soft power initiative to bolster China’s influence against the backdrop of a growing consensus, opposed by China, that global management of the Internet should be handled by a multi-stakeholder regime, including business and civil society interests. A key objective was to win international backing for the concept of “Internet sovereignty” championed by China as part of its arguments that the Internet should be regulated instead by states. The concept was underscored by Xi in a message to the conference and featured in a draft declaration thrust under delegates’ hotel room doors at 11 p.m. on the last night, with an invitation to comment by 8 a.m. The declaration was quietly abandoned after protests from some Western delegates, but a few weeks later China’s Internet czar, Lu Wei, signaled that China will persevere in promoting Internet sovereignty as the basis for cyber governance. Internet control has also emerged as a major focus of China’s counterterrorism diplomacy which likewise moved up a gear last year. According to diplomats in Beijing, China increasingly reached out to other governments on cyber terrorism issues in 2014. Sometimes specific requests were made, usually for online content to be blocked, but many overtures were vague, suggesting that China is trying to open new channels of dialogue with a view to joint initiatives in the longer term. These gambits place Western governments in an uncomfortable position. In the absence of an agreed international definition, China construes terrorism in extremely broad terms to include, for example, causing “chaos in the social order.” Western governments are legitimately worried about being implicated in Chinese human rights abuses aimed at stifling political dissent and most are proceeding cautiously. China’s discussions with Russia are far more advanced. A bilateral cyber security treaty, affirming the need to prevent use of the Internet to undermine social stability and paving the way for joint cyber security operations, is thought to be close to conclusion. China is also pursuing multilateral cyber security initiatives through the Shanghai Cooperation Organization, a Eurasian cooperation organization, and the US-led Global Counterterrorism Forum (GCTF). In November, it hosted a GCTF symposium on cyber-terrorism issues and repeatedly stressed China’s desire for closer international cooperation. As part of its strategy to shift Internet regulation into the inter-state system, China is promoting various soft law initiatives at the UN. In September, Foreign Minister Wang Yi used a Security Council summit on counter-terrorism to call for a new code of conduct for the cyber industry. This echoes earlier joint efforts by China and Russia (and some Central Asian allies) in the General Assembly to negotiate a code of conduct for states on information security. At various UN meetings throughout 2014, China made clear that it will continue to use these proposals as a basis for building an international consensus. A desire to blunt the operation of international human rights law is one reason China is working so hard to establish the primacy of state interests in Internet governance. Since the Arab Spring, China has become a ring-leader of like-minded states working in UN human rights bodies to re-assert the responsibility of states to restrict free speech, privacy and other human rights in the interests of national security or public order. In June, for example, China fronted a coalition of eight states seeking to make a Human Rights Council resolution on online rights ‘more balanced’ by emphasizing how the Internet is used to promote hatred and extremist views. Somewhat ironically, given exposes last year of its own cyber espionage operations, China made a strong statement at the Council in September denouncing incursions on state sovereignty via mass digital surveillance programs and reiterated calls for a code of conduct for states. These efforts are a departure from the low profile China usually seeks in the international human rights system but have failed to yield any significant gains so far, which invites questions about what China is aiming to achieve. 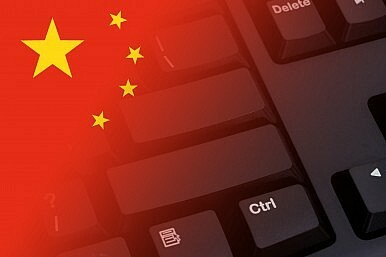 China’s cyber diplomacy is obviously driven by the leadership’s fears about an unbridled Internet being used to mobilize opposition to its rule inside China. But this highly coordinated upsurge in international activity suggests more is at stake. A compelling explanation is that these moves are a vanguard expression of China’s ambition to transform itself from a norm-taker to a norm-shaper internationally. In any case, China must believe that its battles for a state-centric model of Internet governance with minimal human rights curbs are winnable, even if it has to play a long game. For states such as the U.S. and U.K. that like to consider themselves champions of online rights while simultaneously sacrificing them in their own security operations, this should give pause for thought. Attending the recent World Internet Conference, China lays out an agenda with more engagement.